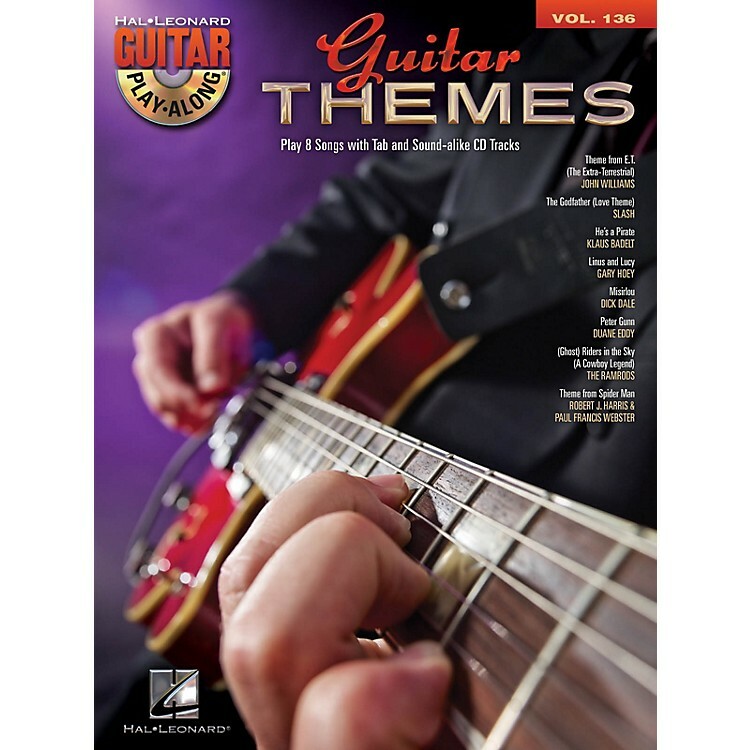 The Guitar Play-Along series will help you play your favorite songs quickly and easily! Just follow the tab, listen to the CD to hear how the guitar should sound, and then play along using the separate backing tracks. The melody and lyrics are also included in the book in case you want to sing, or to simply help you follow along. The audio CD is playable on any CD player, and also enhanced so PC & Mac users can adjust the recording to any tempo without changing pitch! 8 popular movie and TV themes, including: Theme from E.T. (The Extra-Terrestrial) · The Godfather (Love Theme) (as done by Slash!) · He's a Pirate · Linus and Lucy · Misirlou · Peter Gunn · (Ghost) Riders in the Sky (A Cowboy Legend) · Theme from Spider Man.